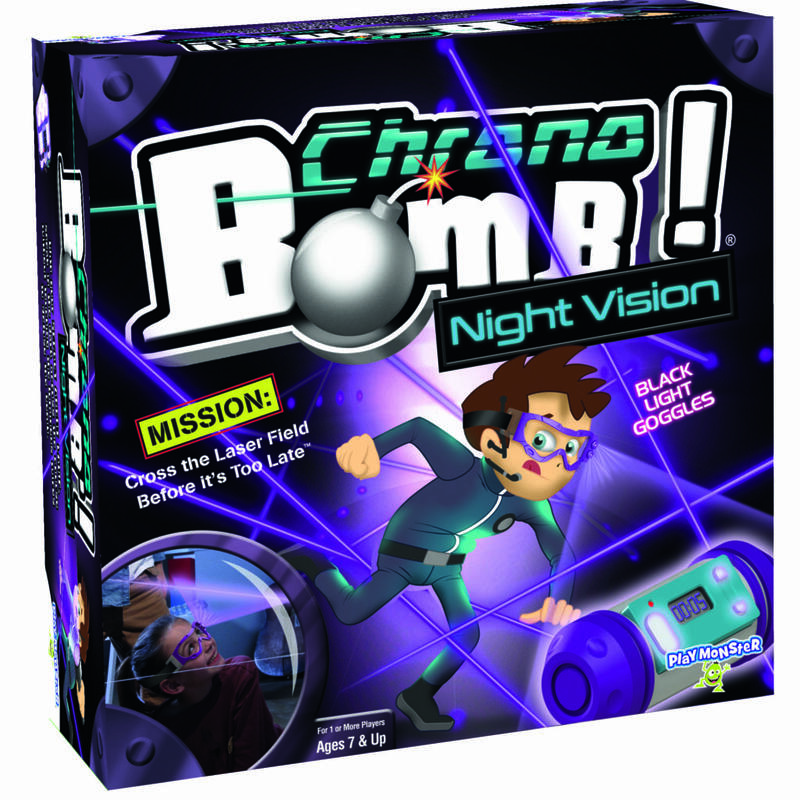 Chrono Bomb Night Vision puts kids on a mission — Cross the Laser Field Before It’s Too Late. Using the clamps and 37-foot string to create a “laser” field to crawl through, kids turn off the lights and wear UV light goggles to illuminate the string, and carefully make way through the laser field. Can still be played during the day with the lights on, just like the original game.